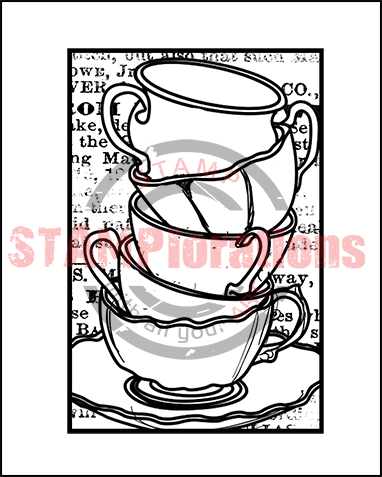 ONE (1) package ofFRAMED TEA CUPS clear stamp set in the Shery Russ Designs line. There is 1 piece of clear stamp in the package. This stamp set is in a backing sheet packaged in a 3" by 5" resealable hang hole cello bag. For your reference, the stamp is 2 inches wide and 3 inches tall.